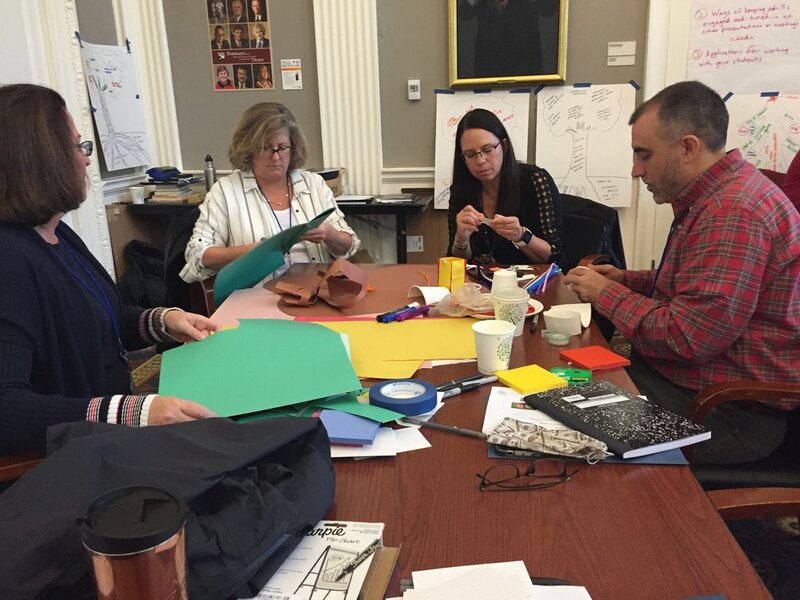 The 1st Deeper Learning Dozen Community of Practice Convening was held at the Harvard Graduate School of Education on October 15-17, 2018. Twelve district superintendents and their teams from California, Colorado, Wisconsin, Massachusetts, Vermont, and British Columbia convened for two and a half days of intense learning and sharing. The initial convening focused on building strong relationships, establishing the community of practice, design thinking and inquiry cycles, district journey mapping (who are we and how did we come to be this way?) and roadmapping (where are we headed with this work now? ), and a deep learning dive into one of our three principles, “leadership accelerates emergence.” Districts also took time for planning and giving each other feedback as they continue their work on equitable access to deeper learning for all young people and adults. The 2nd Deeper Learning Dozen Convening will be held in January and will focus on the principle, “(in)equity is structural…” We are in the planning stages now, and working closely with the National Equity Project, to explore learning and practice around leadership that can take a systemic approach to the complex equity challenges that all our districts face.